Maybelline Color Tattoo 24 Hr: Review, Photos, Swatches and FOTD! 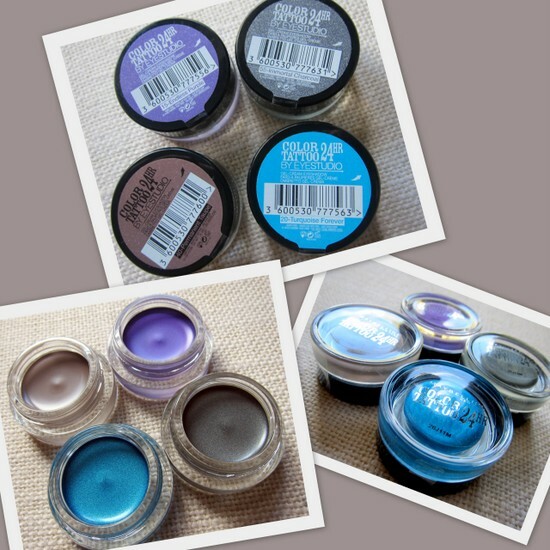 I had fun this weekend playing about with these cream-gel eye shadows from Maybelline, the long lasting Color Tattoo 24 hr pots. They're designed to be worn on their own, as a primer or cream eyeliner and, in the case of the lighter shades, can also be dabbed over another shadow. I was sent four shades to play with and first impressions are good: they come in a shallow glass jar with a black lid, similar to Chanel's Illusion D'ombre shadows but completely different consistency wise - these are more like MAC's Paintpots. They feel smooth, creamy and lightweight, and are designed to spread easily and resist water and creasing. I haven't worn them all yet but from what I've seen so far, the colour payoff varies from shade to shade, so I'd recommend having a wee play with the testers before you buy. You'll find Maybelline Color Tattoo 24 Hr in Boots and selected chemists, priced at €7.99. As well as the four shades here, they come in Eternal Gold, Eternal Silver and On and On Bronze - I quite fancy the sound of all three! Are any of them calling your name? This is so pretty on you! That turquoise one does look lush. I was going to buy the taupe or bronze one but when I swatched them they were a bit dark for me. I want a highstreet neutral cream eyeshadow. Haha, not really Maybelline's fault. Great review! Have to try them out very soon! I love that taupe color...totally accents your pretty eyes! i like the turquoise one. these blue shades really suit you. i personally don't play with blue shades from high school now - i have blue eyes. 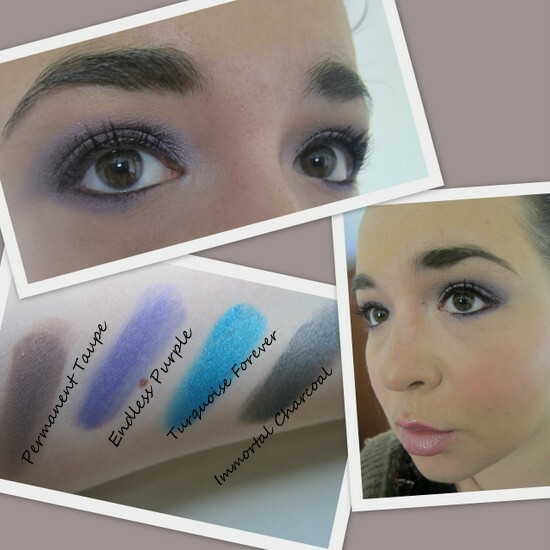 I've read great reviews on the color tattoo eyeshadows! They're comparable to the MAC version but for a more reasonable price! Those look so pretty and the turquoise would be so fun to wear. Fun for spring and summer! Reminds me of the 1970's with all the gorgeous eye work! They all look very pretty, but I'm really liking the look of Permanent Taupe and Immortal Charcoal! They both look like fab shades!